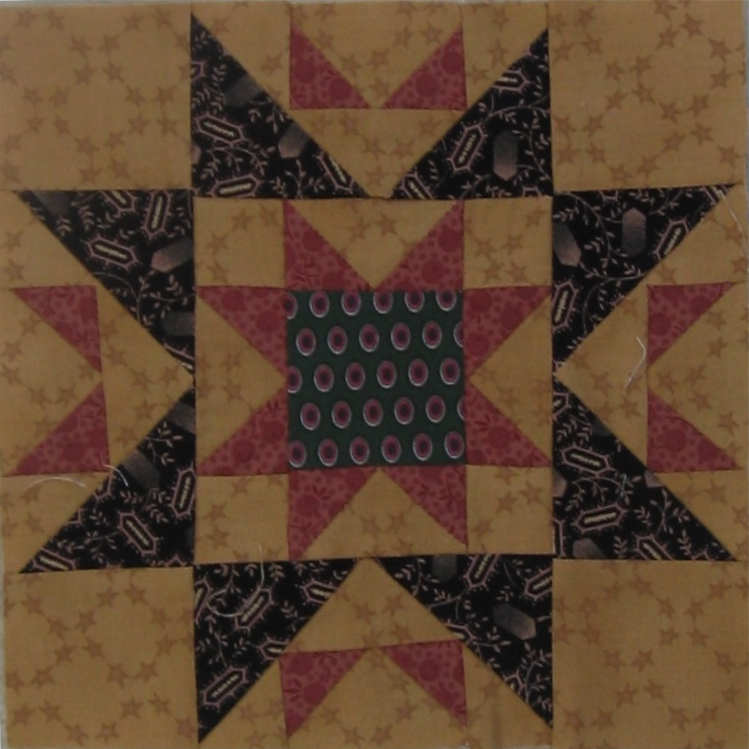 I am still working on the Civil War Tribute quilt – but haven’t made much progress on it for the past year or so. I do want to finish it as it is going to be the bedspread in the master bedroom. 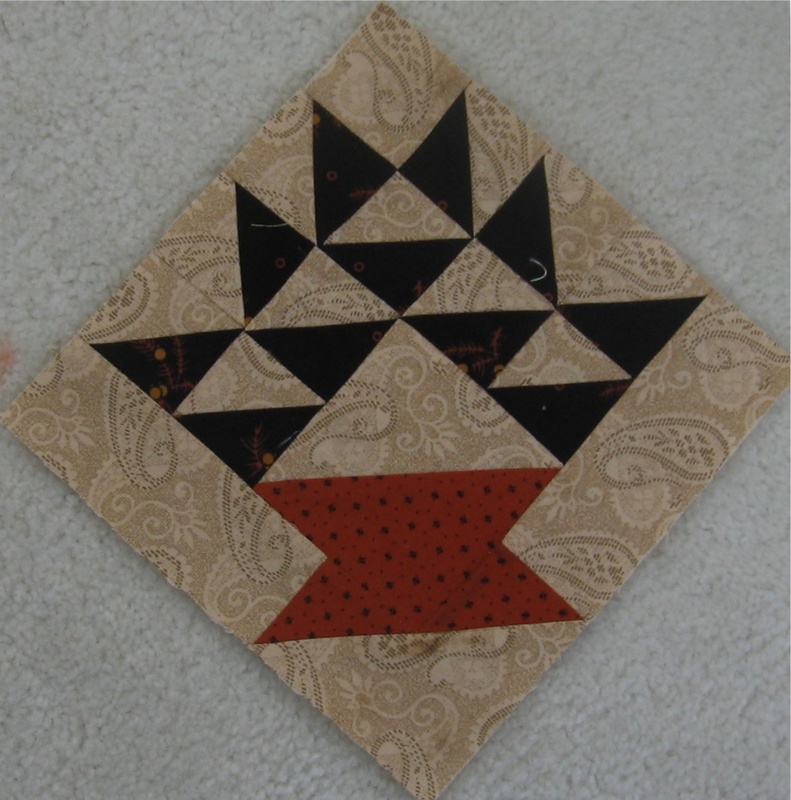 However, I have started another Civil War quilt. I am a member of a group that meets once a month and we call ourselves the “Quarter Seamers”. 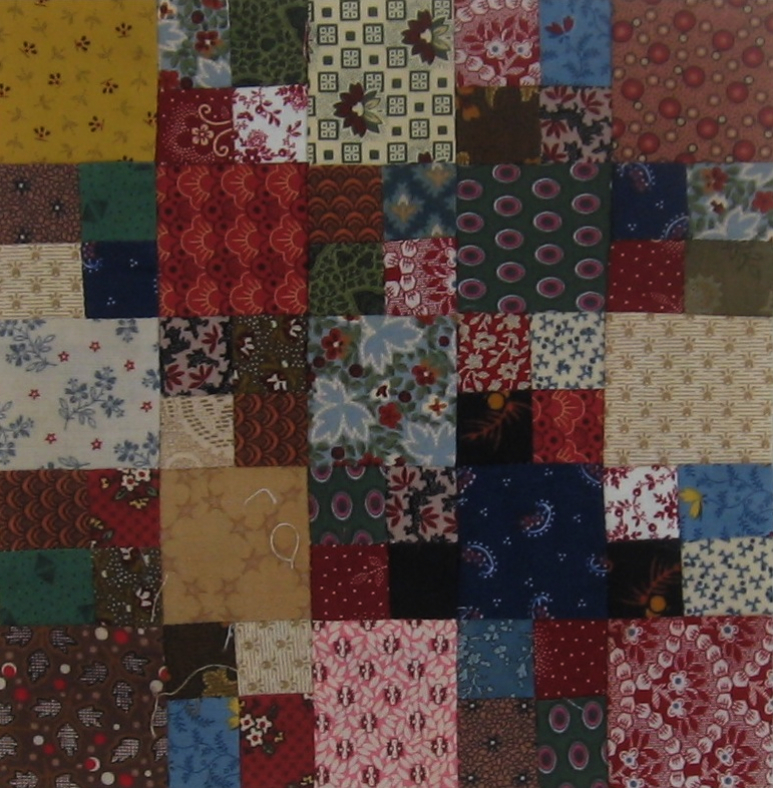 Each month we make four 8″ block for a mystery quilt. So far, we are supposed to have 8 blocks completed (but I only have 5 since I’ve been busy with other projects for the past month). 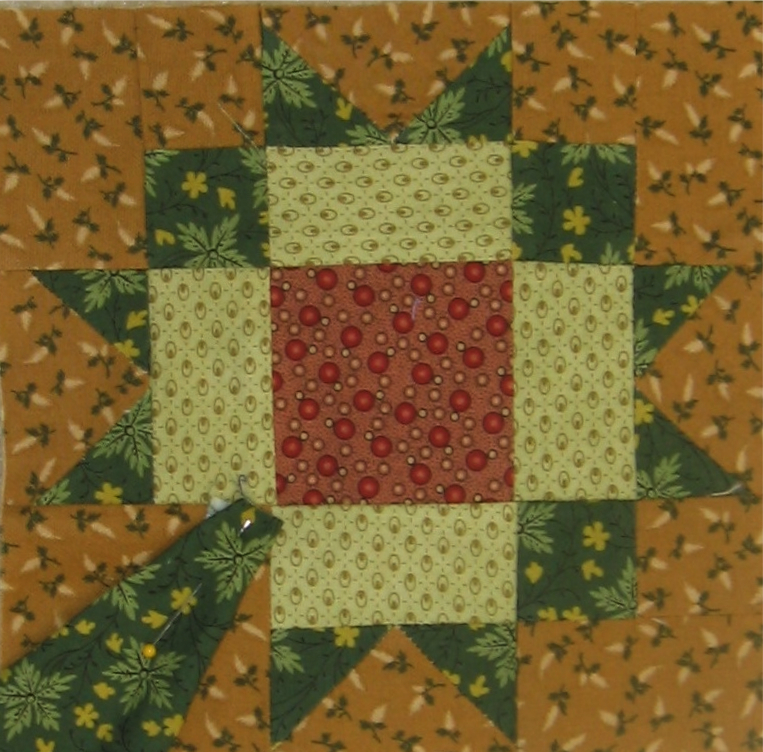 The club is led by Miss Debbie Lou Powell who runs Miss Lou’s Quilting Studio in Henderson, NC. 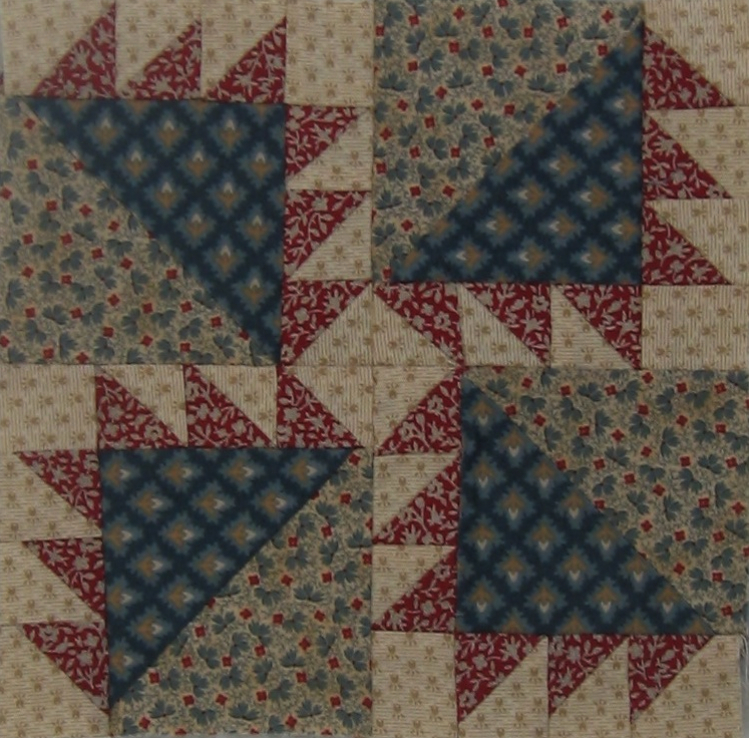 Each month we each bring in four Civil War fat quarters to add to the fabric pot so that we have lots of choices when it comes to making our squares. It’s so fun to see the color schemes that everyone uses – each block looks so different. I plan to get caught up on all my blocks for this quilt by the end of November. The most time consuming part is actually selecting the fabric and then cutting out each piece (no strip piecing can be used since each block is scrappy and unique). Here are the five blocks I’ve completed so far. Let me know what you think! This is such a good idea. In fact, I could imagine myself making one block a month. That is something I could handle. Yes, I think you could do one block a month. Maybe we should find a nice BOM (Block of the Month) pattern for you. I really like the Indian Trails and the Colorado Star blocks!